Granted, when I say it’s not black, there’s no denying matte black in kitchen design is still in full flight. I’ve designed multiple black kitchens in the past few years, and in its inception, I was so excited by the prospect of something other than white, but what’s happening next is far more exciting. It’s colour! And we’re not talking about pops of colour in the form of your toaster and kettle, we’re talking about coloured cabinetry, which in most cases, makes up the kitchen’s largest surface area. 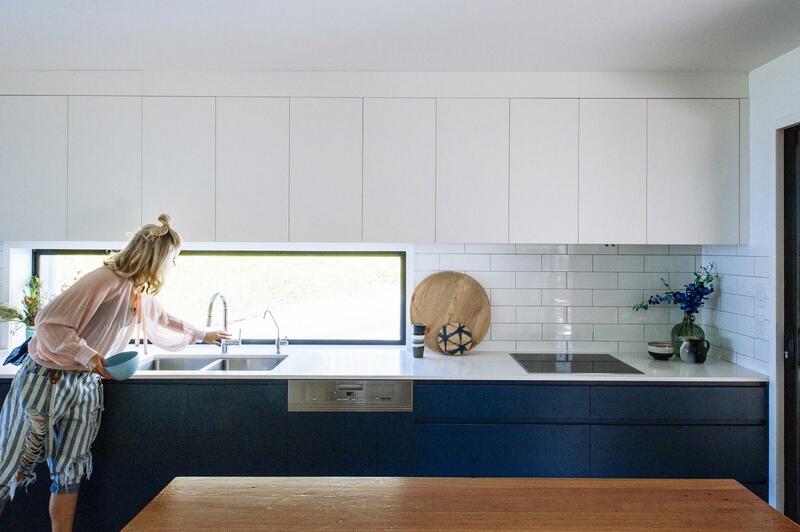 It sounds crazy that people would be so bold as to opt for colour in their cabinetry (which to change up is not a cheap project) but with more and more home inspiration at our fingertips, we’re collectively making more confident design choices. At this point, I’ve either piqued your interest or you’re not buying it. Either way, let me tell you how it’s done. I’ll be frank: I put navy blue in the same basket as neutrals because as far as colour goes, navy has proven to stand the test of time and is almost certainly the most popular hue on the colour wheel. For the most part, choosing a colour means you’ll be restricted to a painted kitchen as opposed to a laminate. However, laminate suppliers are coming to the party by expanding their colour ranges, so don’t be surprised if you find a navy laminate you love. 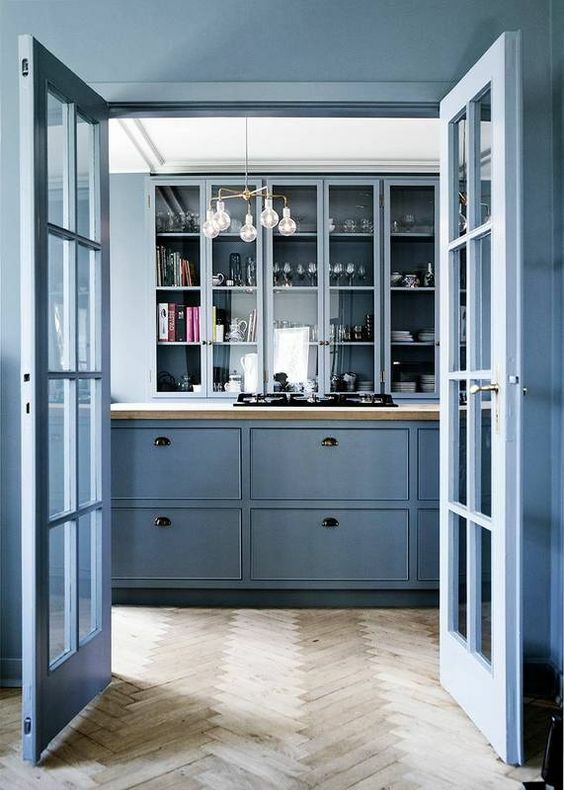 Taking your cues from classic design, a rich navy is also beautiful in the form of shaker-style door fronts, and despite its origins, can absolutely be applied to a modern home. Here’s some free advice: Nothing says ‘beautiful’ better than a kitchen combination of navy, marble, and brass. 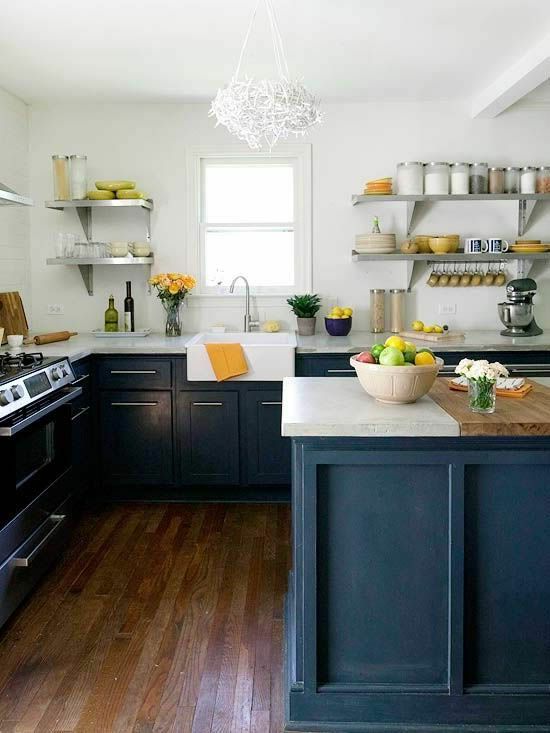 The underrated hue is striking in any form of cabinet profile (flat, vertical panelling, shaker style), and pairing it with whites and timbers is a match made in heaven. Like any colour, it’s so important to spend time exploring your options to absolutely nail the right shade. Look for a colour that’s calm on the eye and not too bright to ensure it doesn’t become something you tire of. Green in the home is hot right now, but like a muted blue, choosing the right green is key to the success of your kitchen. This means leaning towards your gentle shades of olive, forest green, sage and peppermint. 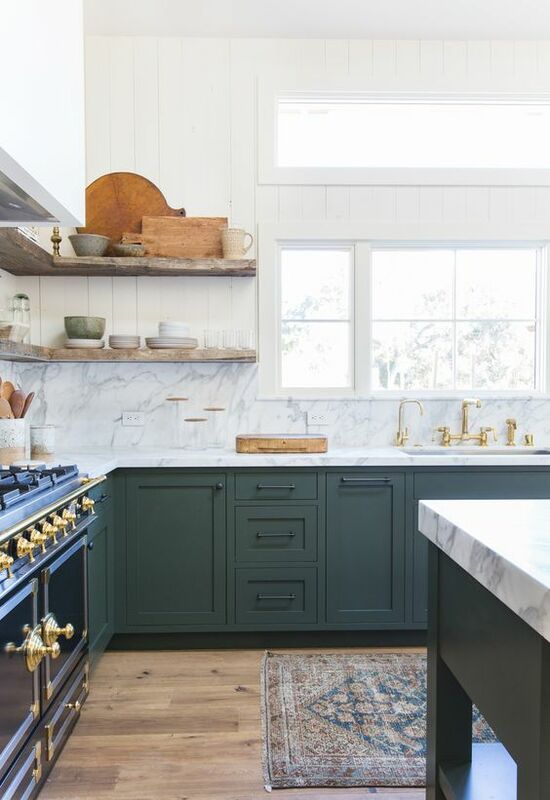 If you’re tempted by the idea, but not sure about taking the plunge, it’s perfectly acceptable to forge ahead with the lower bank of kitchen cabinets and to opt for a white or timber grain for your overheads (if you do overheads – you may choose floating shelves or no overheads cabinetry at all). 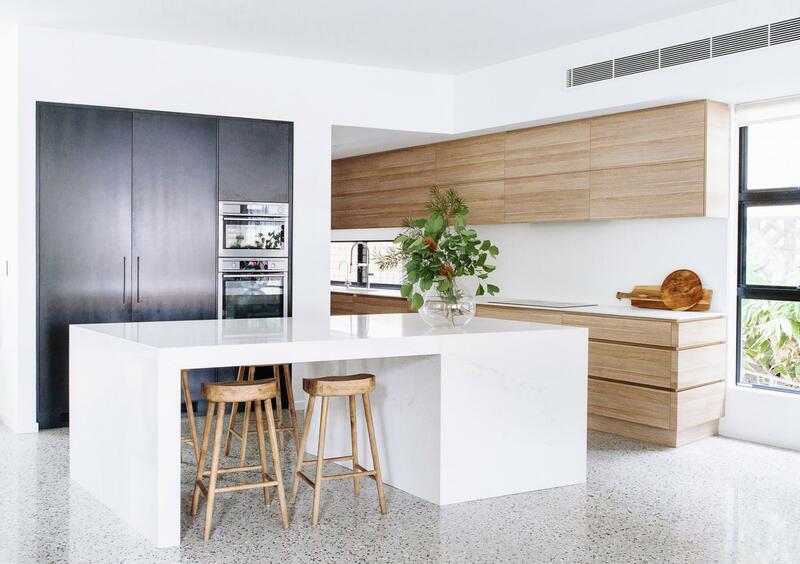 It’s safe to say that black, white, grey and timber grains will forever remain the kitchen colours of choice, largely because most renovators are influenced by the prospect of resale and deem a coloured kitchen too bold for mass-market appeal. However, many of us are screaming out for something different, so expect to see kitchens testing the waters more in the coming years. I, frankly, can’t wait! 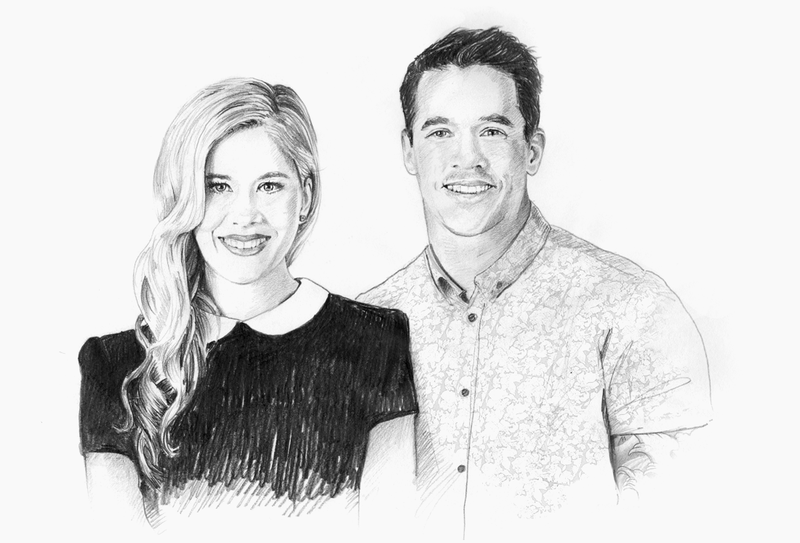 This article was originally published by realestate.com.au.